Nevada Building & Maintenance Ltd - Builder based in Worthing, West Sussex. 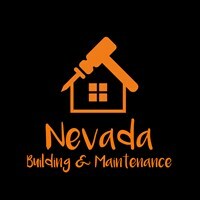 Nevada Building & Maintenance is a family run business providing high quality work in and around your home. Whether you require a wall plastered, new double glazing windows or doors or even an extension built to your home, we can do that for you. We are happy to help you with any queries or advice and all quotes are free of charge. Some of other jobs we can do and have undertaken before include, fixing or replacing garden fences, laying patios, conservatories, installing kitchens, facias, soffits and guttering, bathrooms, tiling, decorating, hanging doors and general maintenance of properties. We are based in central Worthing and cover a 30 mile radius. Worthing, Littlehampton, Brighton, Bognor Regis, Crawley, Hove, Lancing, Findon, Ferring, Angmering, West Sussex, East Sussex.